I’m always looking for new healthy spots to dine out in town. While we definitely like to splurge on food and eat whatever we want from time to time, our main diet is pretty health conscious and light. 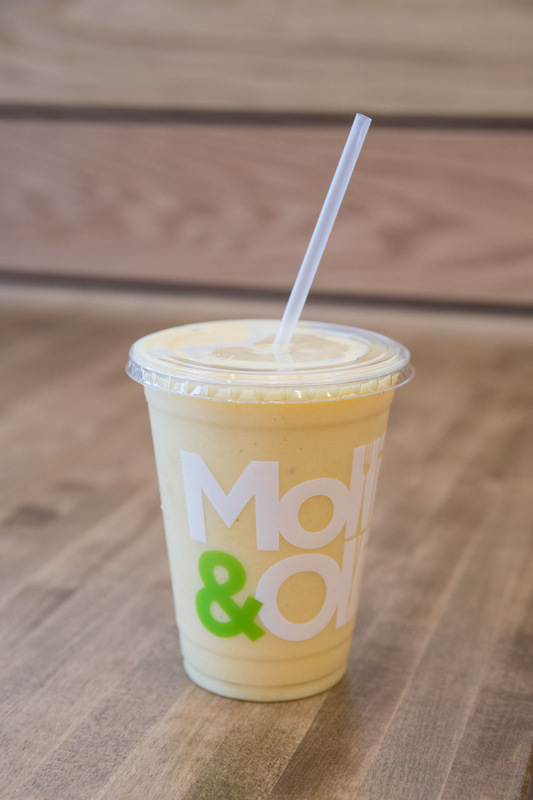 Mollie and Ollie is definitely a place you could dine-out to weekly or more and feel great about. 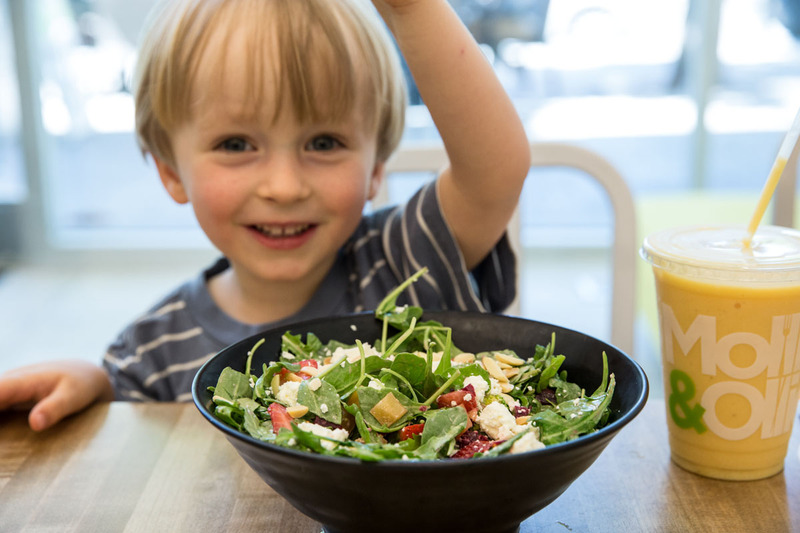 My toddler and I first tried the Strawberry Fields Salad and Green Smoothie, sharing the two and equally fighting over them both. 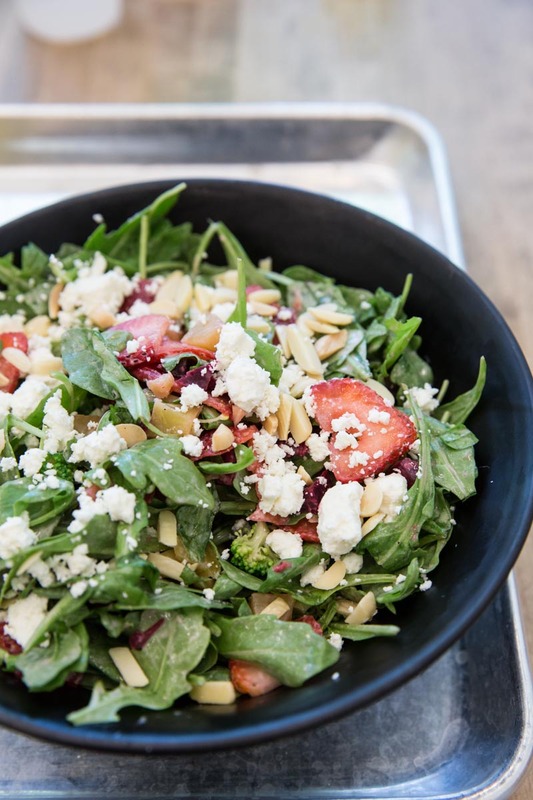 The strawberry salad is filled with roasted beets, strawberries, broccoli, feta and almonds, tossed in a horseradish vinaigrette. 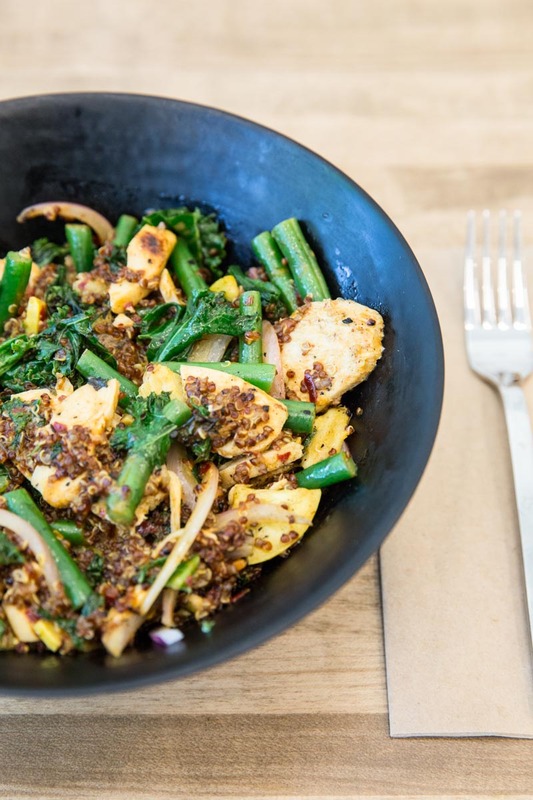 On our second visit we also tried the Citrus Lime Roasted Garlic Stir Fry which comes with red quinoa, honey brined chicken, kale, green beans, red onions and summer squash in a savory sauce. Both meals at Mollie and Ollie were equally satisfying and nutritious. 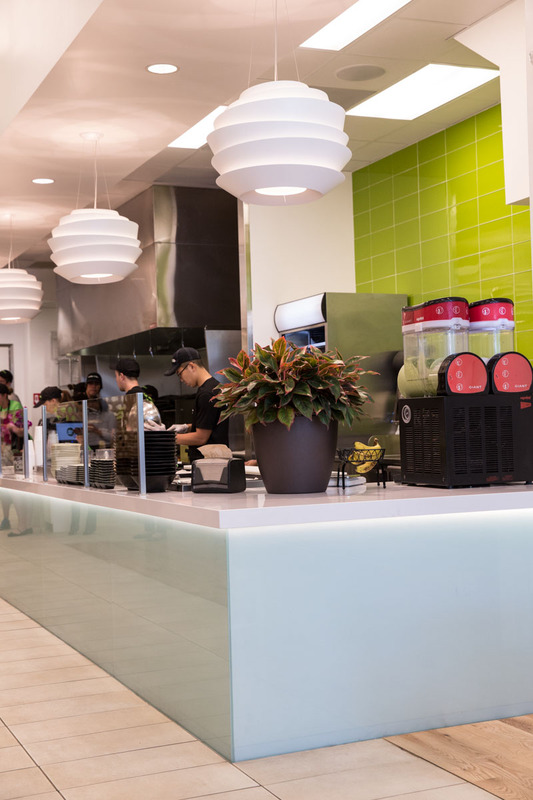 A few tips for eating here: while the menu is pretty awesome and easy to enjoy on its own, you can also create your own bowls and salads, which is great if you’re with a group or have anyone with dietary restrictions or picky palates in your party. Another thing I noticed is that you can trade out meats on any of the menu items or ask for them to be lightly dressed. Their meats are all antibiotic-free and their veggies are sourced carefully and seasonally. Their new peach smoothie is a seasonal item and definitely worth trying but I’m guessing it will only be on the menu for a short time so grab it while you can! I could barely get a taste of it, my kiddo was pretty tight fisted with that one! Whether your a health conscience person, like myself, or someone with a picky palate, more like my toddler, I think you’ll find something your body and mind will both enjoy at Mollie and Ollie. VERY SORRY I MISSED YOU AND THE TODDLER WITH GREAT TASTE!!! Thanks so much for the write up–very much appreciated. Hope our paths cross again soon. Thanks Neil! We had a lovely meal and will be back again!